As most dog owners will relate, the puppy year is filled with quite a few wonderful, cute moments…and those moments where you become really good counting to yourself as your puppy looks up at you with cute, adorable eyes. For my husband and me, the cute eyes usually happen once Ivi realizes she had a potty accident. Like all dogs, she wants to make us happy, but her poor puppy bladder sometimes can’t keep up with her excitement. Along with these accidents also come lots and lots of puppy baths and various grooming products. Luckily, Nature’s Miracle sent us some awesome items from their Puppy Skin and Coat line to make caring for puppies even easier! Want a puppy shampoo that not only leaves your puppy smelling fresh but also leaves their coat feeling amazing? 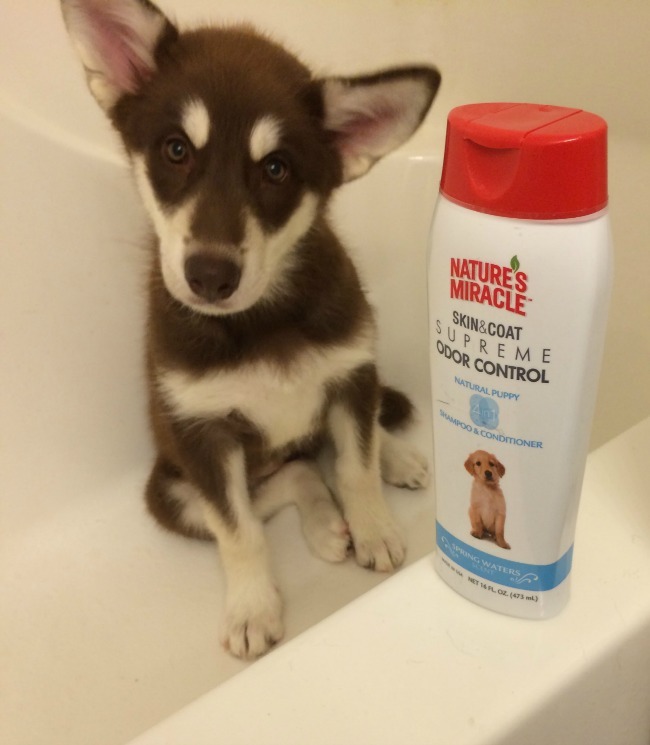 If so, we think you will love Nature’s Miracle Skin & Coat Supreme Odor Control Puppy Shampoo. This soap-free formula is designed to be as gentle as possible for your puppy, being tear free and formulated for a puppies PH level. As well, it not only cleans your puppy, but deodorizes, conditions, and gets rid of any odors from puppies having ‘accidents’. 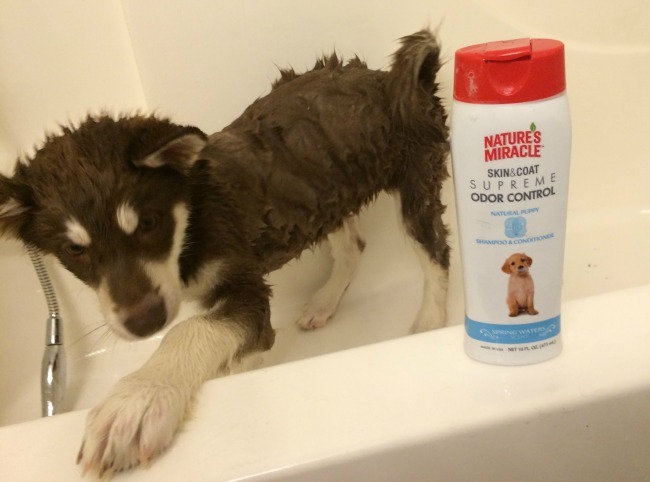 So far, this is one of the best conditioning formulas we have seen for puppies, and definitely goes in my top 5 favorite dog shampoos. Not only do I love the scent of this puppy shampoo, but love that feel of Ivi’s fur after bath time. Best of all, she is cuddly soft, something that even big sister Reya loves! Based on our own experience, we are happy to give Nature’s Miracle Skin & Coat Supreme Odor Control Puppy Shampoo an A rating! Mom, don’t take bath pictures! It is embarrassing! Want a way to fight back against puppy odor and leave your dogs coat feeling amazing? If so, we think you will love Nature’s Miracle Skin & Coat Supreme Odor Control Freshening Spray. This soap-free formula is safe for use with spray-on flea and tick products and contains no dyes or parabens. Like the puppy shampoo, it comes in Spring Fresh Water Scent, leaving your puppy smelling amazing without the scent being overpowering. We personally love the wonderful shine Ivi’s coat has over this spray. Currently, you can purchase this spray for $9.99. Based on our own experience, we are happy to give Nature’s Miracle Skin & Coat Supreme Odor Control Freshening Spray an A rating. 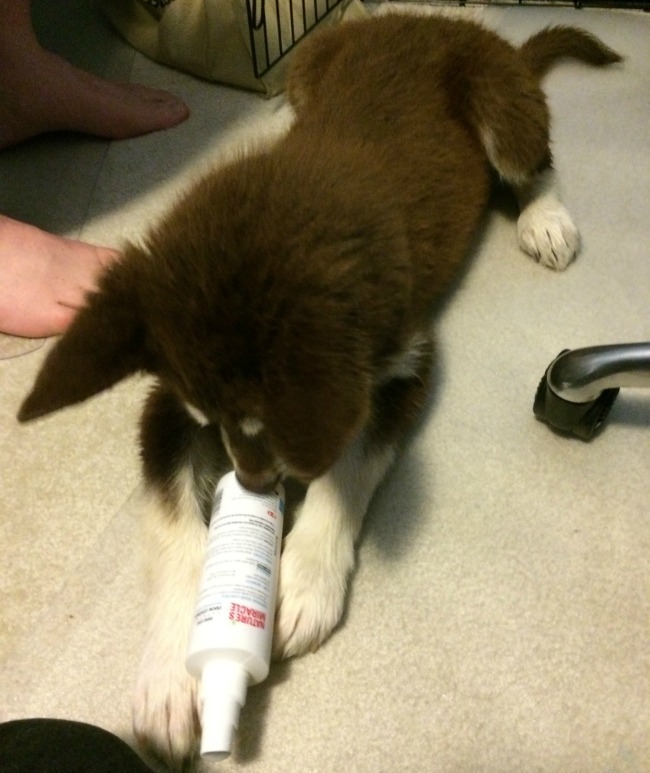 Mom, I can spray my own coat, I promise! 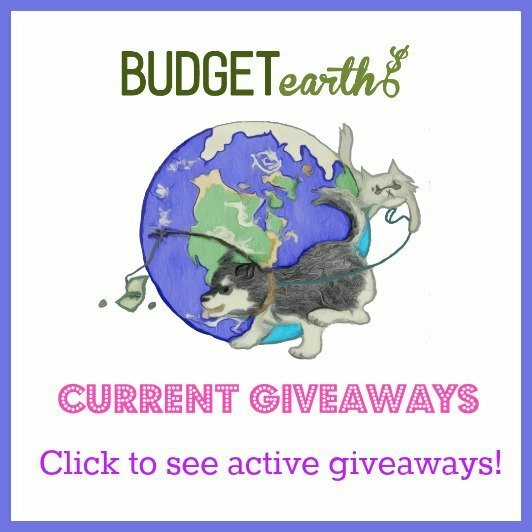 Looking for a product to help freshen your puppy’s fur, especially before a quick trip to the pet store or visiting family? If so, we think you will love Nature’s Miracle Skin & Coat Deodorizing Bath Wipes. 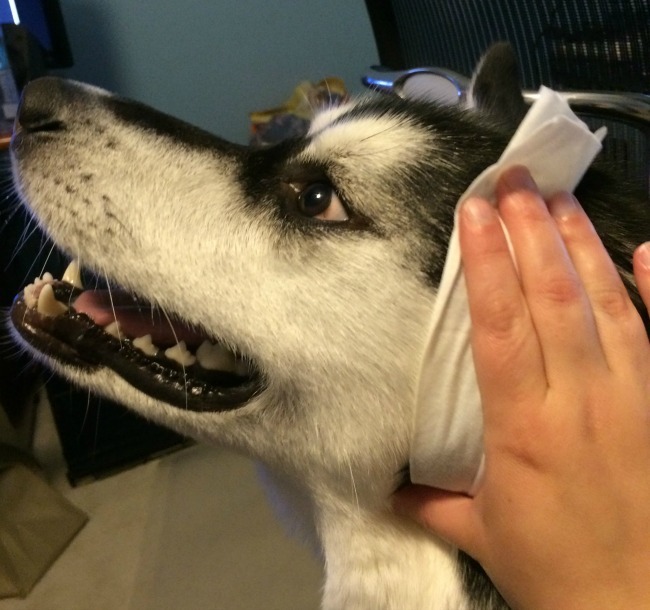 These gentle cleansing wipes safely remove dirt, tough odor, and dander on your puppy’s coat while also moisturizing their skin and coat with the wipe’s built-in conditioner. In the end, you have a great smelling puppy with a shiny coat without the mess that comes with bath time! While I love the puppy shampoo, I have to say that these wipes are my favorite product in this line. With all the messes Ivi gets into (not even counting slobber from her big sister), these wipes allow me to give her a quick bath without having to go through the entire fuss of giving her a bath. Even though Ivi doesn’t mind baths at all, too many really isn’t good for her skin and we try putting it off as much as we can. As with other products in this line, I love the Spring Fresh Water scent, which is slightly sweet but not overpowering! Currently, you can buy these wipes for $6.99 in a 25 count purse pack or $12.99 for the 100 count package. Based on my own experience, I am happy to give the Nature’s Miracle Skin & Coat Deodorizing Bath Wipes an A+ rating! Mom, don’t tell Ivi but I like her bath wipes too! Want to purchase some of these awesome products for yourself? 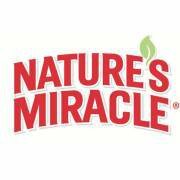 You can find the full Nature’s Miracle puppy line on the Nature’s Miracle website or on Amazon.com. Don’t forget, you can also find it at a pet store near you using their store locator! Want to learn more? Check out Nature’s Miracle on Social Media! I use their white coat shampoo on Luma sometimes and it makes her super white and shiny 😀 great products! I would love to give this a try on my baby. Sounds like really good stuff!!! These products sound wonderful, I have a friend that has a dog and for some reason he always seems to have an odor on him,, So I am sure this product would be wonderful and a relief ..
Ivi is so gorgeous! I love that these products are gentle and natural. I need to get some shampoo for my dog Mike. Baby shampoo just isn’t right for his skin. What a cute little pup! We’ve tried bathing our dogs and they only get bathed if they’ve rolled in poop or have became very dirty another way. They hate having bathes! :/ They also don’t like rain and wont swim.